Every year four students are paid to work full-time (currently £17,321) to lead GCU Students’ Association. Elected by their peers they become leaders of an organisation with a £700,000 budget, trustees of a charity and representatives of 16,000 students. Any registered GCU student, including an international student and GCU London students, are eligible to stand to be a Full Time Officer. That means if you are currently a registered student studying at GCU then you can do it. You don’t need to be in your final year, in the past many officers have taken a year out to lead the Students’ Association before returning to finish their degree. If successful you will become a trustee of the organisation. 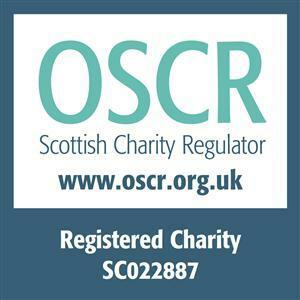 This means that you’ll need to meet a small number of legal requirements outlined in the Charity Trustee Declaration Form. Find out more about our Trustee Board. You will be required to work on the Glasgow Campus. What does a Full Time Officer do? Jodie takes us through a Day in the Life of a Full Time Officer. Lee and Jack, Kevin, Chris and Yetunde all former Full Time Officers, talk about their experiences being a Full Time Officer at GCU Students' Association. Don't let the election myths stop you from standing! Take a look at the Role Description and speak to the current Full Time Officers about their experiences. Our Officers get to decide on which areas they'd like to work on at the start of their term of office so also consider which aspects of the Students' Association interests you the most. Don't let the election myths stop you from standing! Find out about campaigning in the Full Time Officer Elections. The easy bit. Just complete an online nomination form. You will need to be logged into our website to nominate yourself. You should submit a maximum of 300 word manifesto and headshot photo. This will appear when students vote. The manifesto and does not need to be completed by the Friday February 15th deadline but MUST be submitted by the beginning of the Candidate's Briefing at 12noon on Monday 18th February. Additional headshots will also be taken at the Briefing of all candidates. You can also supply a Manifesto (pdf, two A4 sided) that will be included on the elections page on our website. The final version should be emailed to elections@GCUstudents.co.uk by Monday 18th February 2019 at 12 noon. Students and Staff can also recommend someone they think would be a great Full Time Officer. The person you recommend will be notified that they have been recommended as well as the reasons you recommended them but will not be given your name. Its a great way to recognise that person you know who has real leadership potential! To be successful you’ll need to convince people you’re the best person for the job. That might sound daunting, but there’s plenty of support on offer to you. We’ll be putting campaign advice online to help you start planning, and all candidates will be invited to attend a Candidates’ Briefing session as well as optional campaign training sessions. You will also get £60 from us to fund your campaign.